Kansas Infant Toddler Services (authorized by the Individuals with Disabilities Education Act - IDEA Part C) is administered by the Kansas Department of Health and Environment (KDHE). KDHE provides grants to local networks to assist in maintaining and implementing a statewide system of coordinated, comprehensive, multidisciplinary early intervention services for infants and toddlers with disabilities (birth through 2) and their families. Tiny-k is a statewide system that provides early intervention services to children ages birth to three and their families. Children with developmental delays or disabilities are eligible for tiny-k services. The Kansas Department of Social and Rehabilitation Services (SRS) was established in 1973 as an umbrella agency to oversee social services and state institutions. With a mission to protect children and promote adult self-sufficiency, SRS serves over 500,000 Kansans today. Each year, Families Together Inc. provides, without fees, direct support to more than 12,000 Kansas families. In addition, through workshops, conferences and partnerships with state, local and national organizations, they provide training to more than 1000 additional families and professionals working with children and youth with disabilities. Their Kansas City Center currently provides support and information to more than 2,400 families and professionals in Wyandotte, Leavenworth, Johnson and Miami counties. By building partnerships with local, state and national disability related agencies, school, parents, community partners and individuals with disabilities; Families Together, Inc. has become a highly effective parent training and information center. The majority of staff members at Families Together, Inc., are the parents, grandparents, or siblings of individuals with disabilities, and our Board members include parents, educators, educational advocates and education researchers. They know the difficulty in finding one’s way through the “maze of disability services”. From a weekend family event hosted more than 25 years ago to a federally mandated/funded organization with four Centers and five regional coordinators; Families Together, Inc. continues to lead the way in finding unique innovative ways to reach out to the families they support. 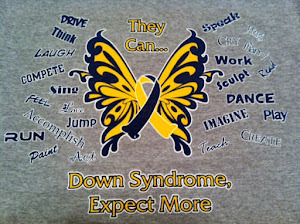 To encourage, and empower families affected by Down Syndrome. To provide access to emotional, educational, and financial resources. To promote public inclusion, acceptance, and awareness that people with Down syndrome have the same feelings, desires, and expectations as anyone else. Having a child with Down syndrome sets your life in a new direction and may well give you a new set of values as you learn and grow.